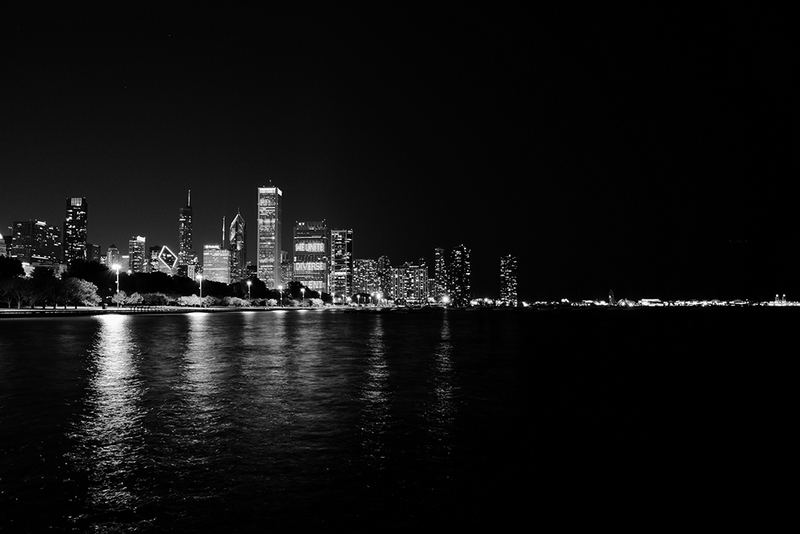 On October 8th I attended a Fujifilm X Series event in downtown Chicago. It was aimed at gathering Fuji X Series camera users to shoot photos around the downtown area using their own gear and X Series cameras on loan from Fuji. Photographer Omar Z Robles headed up the event, and there were probably around 150 photographers in attendance. I picked up a Fuji X70 earlier this year and it’s been a blast to use as my daily camera. It’s always with me in downtown Chicago – to/from work and out to lunch. It’s the perfect street photography camera: small, not intimidating, easy to shoot from the hip, and great image quality. I took it along to the event and had a great time meeting other Fuji users and taking photos as we walked from the Art Institute to the lakefront by the Shedd Aquarium. Here are some of my favorite shots.